I had the pleasure of recently meeting Leise Jones of Leise Jones Photography at an ABC Meeting on a snowy January night in Jamaica Plain. Because of the weather, the meeting was small & intimate, so it really gave us a chance to meet some fellow industry colleagues. I got chatting with Leise since she was literally sitting right next to me, and who am I, not to strike up a conversation with someone that close in proximity! Anyway, I remember when she handed me her business card & my first thought was, YEAH, she’s a photographer (I do love my photographers!) and two, how do I pronounce her name? But, she’s probably so used to that question, she quickly explained that the unique spelling of her name is actually pronounced as “Lisa” and trust me, that is just the beginning of her unique personality. Since the weather was bad that night, I had to quickly leave the meeting after the presentation since I had a long drive north ahead of me to get home, but I was looking forward to reconnecting with Leise for coffee or a drink. We did meet a few weeks later for lunch and immediately hit it off. Two hours later and we hadn’t even begun to scratch the service of how we could help each other grow & work together. I’m pretty excited that we’re working on an upcoming photo shoot together!! She was kind enough to take a little more time out of her busy schedule (it is the beginning of wedding season after all!) 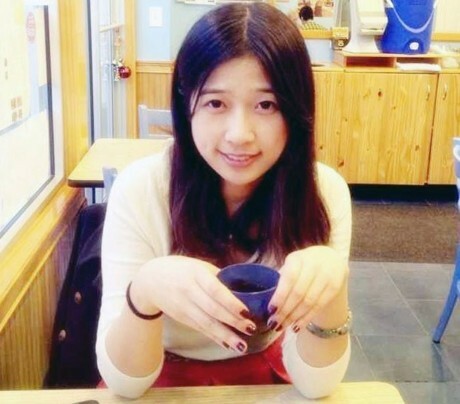 to have another little chat with me, so you can get to know her better too! But first, here’s a little teaser of her capturing a quiet moment…. Before I became a photographer, I had a career as a lobbyist and community organizer for non-profit environmental groups. After 6 years, I got really burned out on politics and campaigning, and I decided that I wanted to do something more creative as a career. After a lot of soul-searching, I landed on photography – a hobby I always loved and was passionate about – and decided to pursue it full-time. I love the storytelling aspect of photography and the ability to capture moments before they are gone forever. In 2007 I enrolled in a full-time photography program and haven’t looked back. I am so happy to say that I found a career I love. Other photographers of all kinds constantly inspire me. I love when I see a photo and think, “I wish I had thought of that!” I am always looking at blogs and websites, checking out photo books and magazines, searching for new ideas and insights. I am firm believer that there aren’t a lot of new ideas, but that you can take an old idea and turn it into something unique and all your own. When I am out shooting, the light is my greatest inspiration. Photography translates to “drawing with light,” so looking at the light, watching it move, and using it to make great photos is a constant inspiration. 3. You shoot more than just weddings; do you have favorite type of photography? If so, what is it & why? 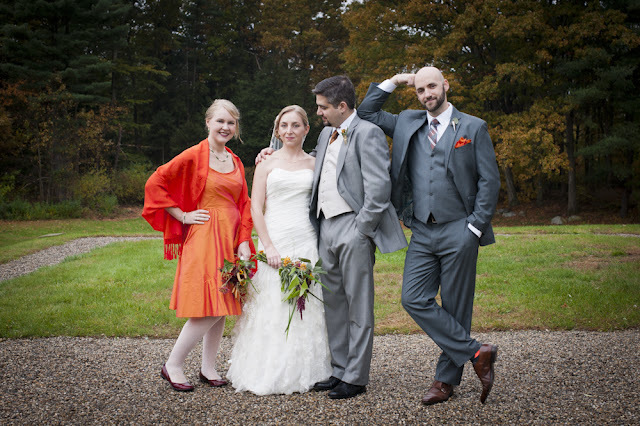 I don’t have a favorite type of photography – which is why I have so many diverse clients! 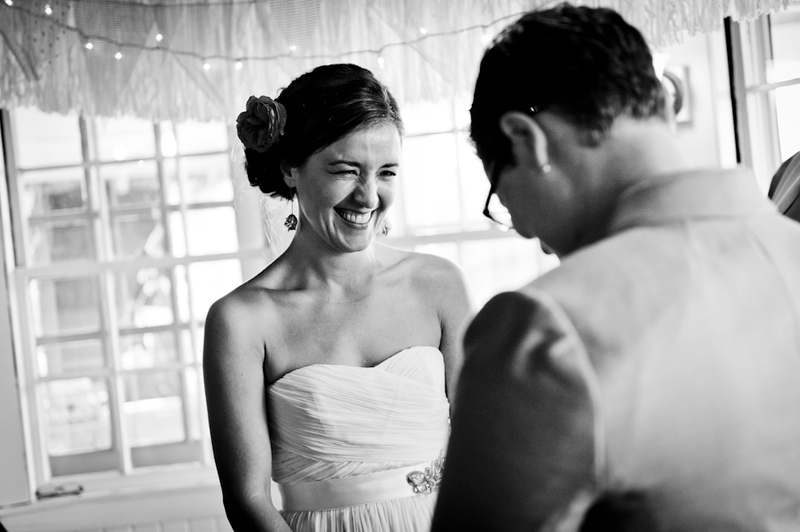 I love capturing the joy and excitement of events like weddings and I love working with people. I love food and restaurant photography because it’s challenging (and delicious.) And, I love working with non-profit groups because it allows me to support their work and feed my own passion for social justice. I have thought many times about narrowing the scope of my business and focusing on just one kind of client, but I love all of the work so much, I can’t imagine choosing just one sector! 4. Tell me about any unique sessions that you’ve had. I like to do engagement sessions with couples whose wedding I am shooting because it gives us a chance to get to know one another and for them to become familiar with my style. 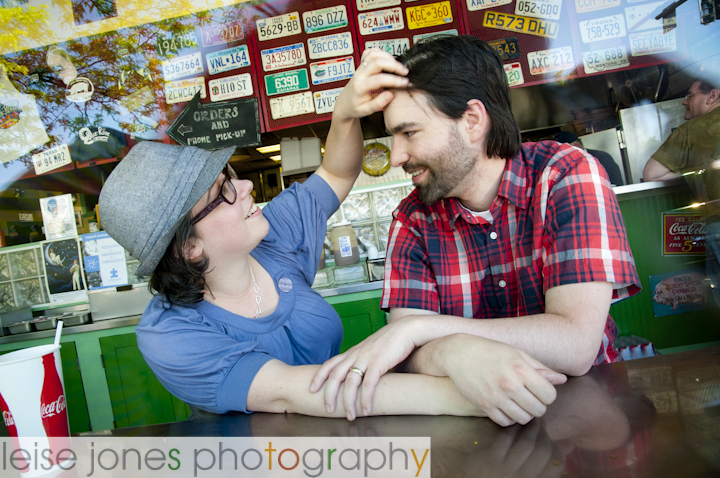 Most people choose to do their sessions in the park or at the beach or in some other picturesque place, but one couple from Louisiana decided to do their engagement session at their favorite BBQ restaurant! So, we went to the restaurant one afternoon, they ordered spare ribs, barbecue chicken, cole slaw and cornbread. I took pictures of them laughing, sharing food, eating, and enjoying one of their favorite places. The photos are so unique to them and perfectly reflect something that they both enjoy. That is the kind of storytelling that I love. It was a memorable session! 5. What advice can you give to couples looking for a photographer? There are three factors to consider when choosing a wedding photographer: price, portfolio, and personality. A lot of couples let the price be the determining factor, but more important is finding a photographer, who you enjoy personally. Of all wedding vendors, you spend the most time with your photographer on the day of your wedding, so you really need to hire someone who you like, trust, and feel comfortable with. As a starting point, I suggest asking your friends and family members for referrals. 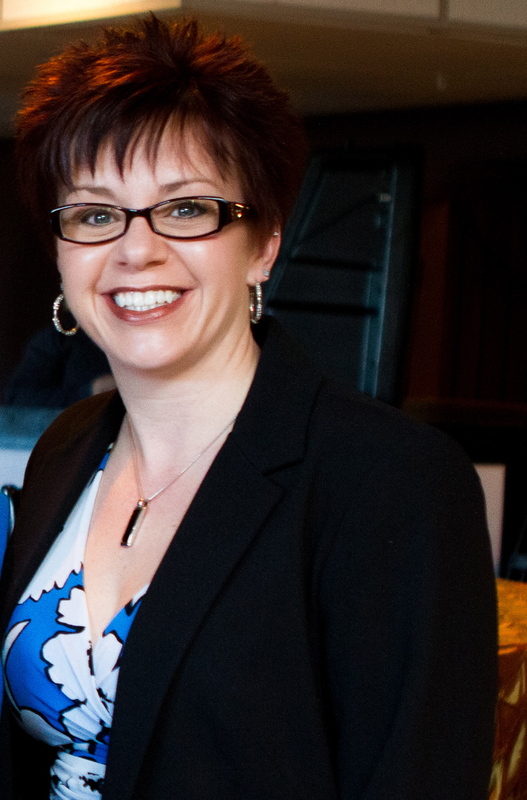 The personality of your photographer is such an important component, so referrals from people you trust is a big help. Then, take the time to meet with and get to know each photographer you’re considering before you make a decision. 6. Do you recommend couples do a first look session? Yes! I am a big fan of the first look. 7. What are the advantages to it? Disadvantages? In my experience, the couples who choose to do a first look before the ceremony are glad that they had some private time together before the rush of the wedding day. 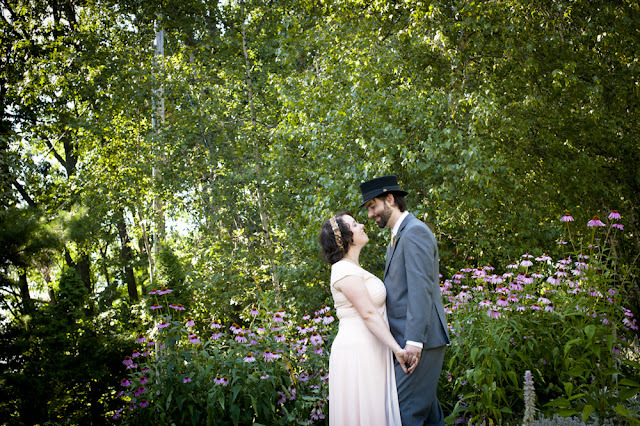 A short first look session helps ease some of the tension and nervousness before a wedding. Also, if the weather is hot or rainy or muggy, you’re both going to look better and fresher earlier in the day, so why not do photos first? If the tradition of not seeing each other before the ceremony is very important to you and your fiancée, then doing the first look may not work for you. A lot of couples I know still want to see each other for the first time when one of them starts walking down the aisle. Your wedding should reflect you, your values, your relationship, and your ideas. Everyone has to make their own decisions. 8. How much time should the couple allow for photographs? For most couples, I recommend setting aside an hour for formal family photos and photos of the couple. My clients make detailed lists of their family photos, so we know exactly who we need to be there and exactly which photo we’re going to do next. I can get most family photos done in about 35 minutes, which then leaves me 25 minutes to do photos of just the couple. During that time, is when we will escape from the hustle and bustle and get sweet, romantic photos of the two of them basking in the excitement of their wedding day. Some photographers spend up to 2 hours on family and couple photos, but my philosophy is that you have gathered all of your friends and family in one place to celebrate your wedding, so go celebrate! 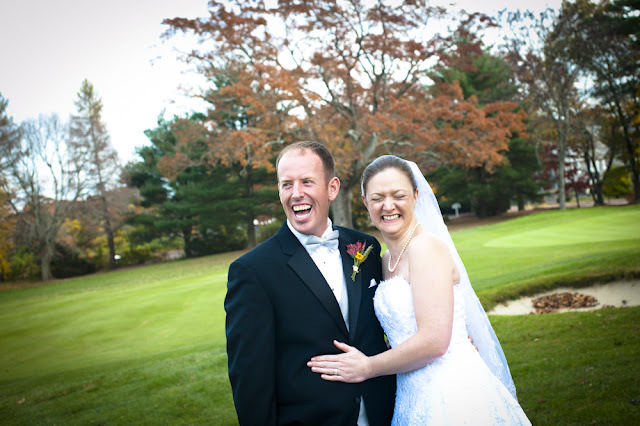 An hour is more than enough time to get a great assortment of wonderful formal and candid photos. 9. What are your price points? Most of my clients are planning small to medium sized weddings, so I offer a basic package that is 5 hours of coverage for $2000. 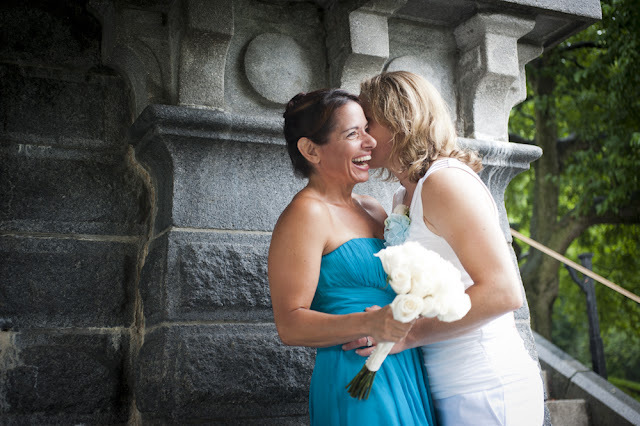 This package includes a disc of images and an online gallery, where couples can purchase prints and make albums. 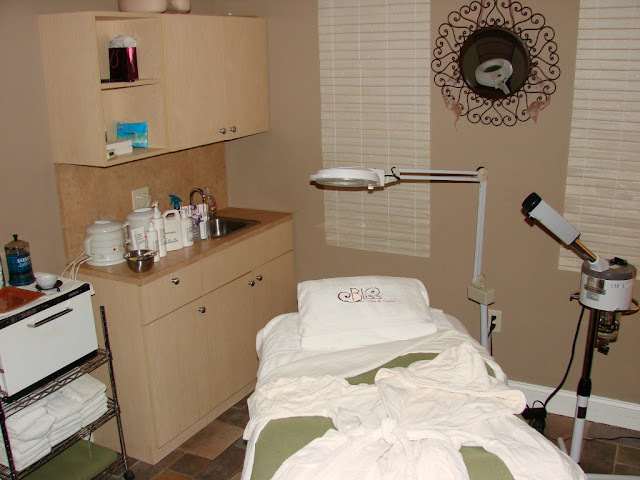 I also offer other packages with more products and more hours of coverage ranging up to $3600. Keep taking pictures. Take the time to look carefully through your photos after a shot to see what you like and don’t like, so that you can continue to improve each time. Lastly, remember, photography is all about the light, so let the light be your guide. Thank you Leise for allowing us to get to know you a little better. Now onto more of her pretty pictures…. And, now one final one from the BBQ Session Leise told us about…. Hope you enjoyed my chat with Leise, check her out on her website here. Than, after you contact her, call ME, so we can all have a ball together on your wedding day! One week ago there was a senseless & tragic act of terrorism in my own backyard at the 2013 Boston Marathon. 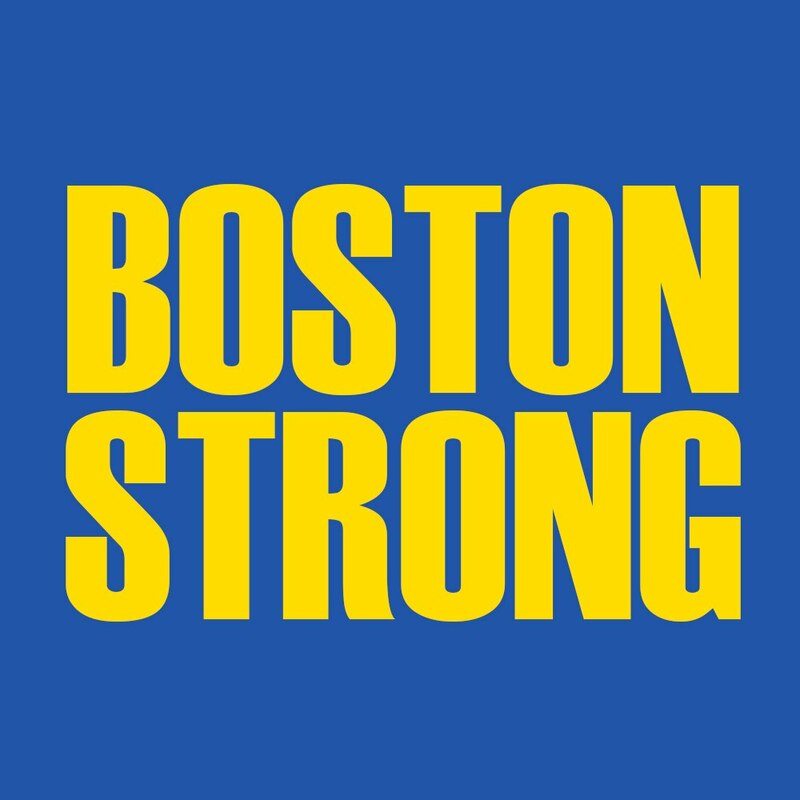 It has nothing to do with weddings, but the “Boston Marathon isn’t just an athletic event — it’s a celebration of our democratic republic” and a pretty big deal around here. Check out the history of why its run on Patriot’s Day and the whole meaning behind the race here. I’ve never been or ran in one, but I have had friends & relatives do so, and this one was no different. My cousin was running it to raise money for cancer research & two of my friends were there as well. I am very thankful they were unharmed, but they were close enough. It was a tense few hours not knowing if any of them were affected since cell towers were shut down and it was a relief when I did find out they were all safe & sound. It caused the city to be in complete lockdown, hundreds were injured and innocent people lost their lives. I wanted to take a moment out of my busy life to acknowledge the lives that were lost & the hundreds that were injured. The pins & needles of wondering why & who puts things into a different kind of perspective for me. 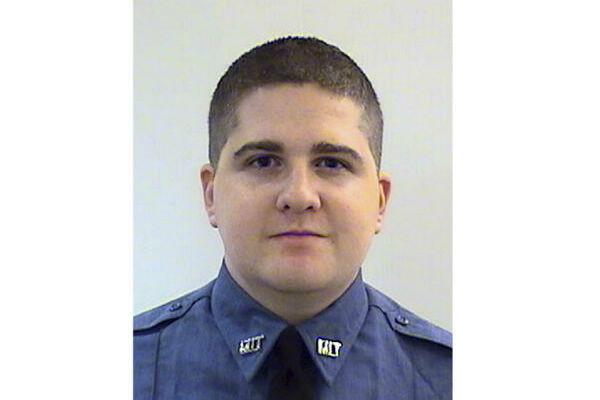 My heart goes out to the families of the victims, Officer Sean Collier, Lingzi Lu, Krystal Campbell & Martin Richard, who’s lives were cut far too short. 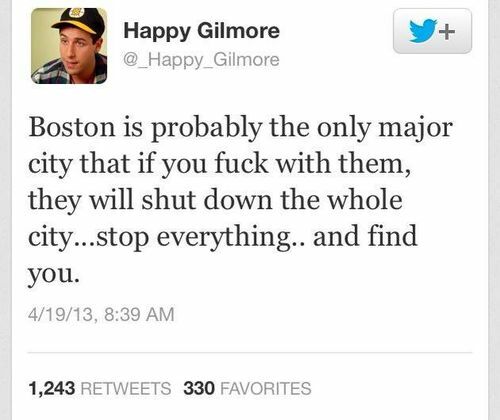 Adam Sandler said it right when he tweeted this…. Because, that is exactly what they did! Thank you to the law enforcement officers, who risk their lives every day to keep us safe, but especially on the days like Boston experienced last week, when they apprehended the two suspects responsible for it. One was killed & the other was injured, but is now in custody. 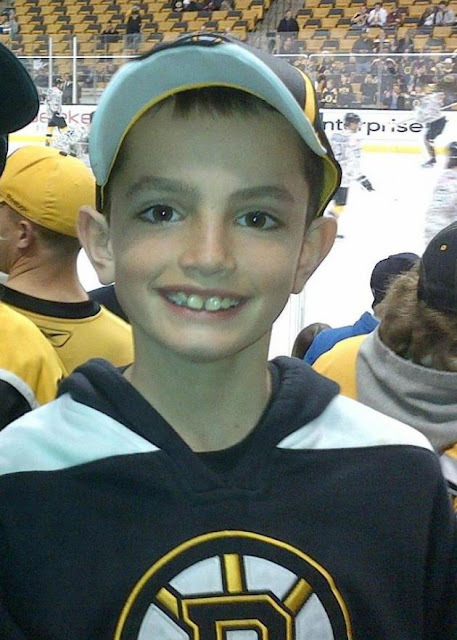 Take a minute to hug your family & don’t take life for granted because you just really never know. Styled Shoots in the works! 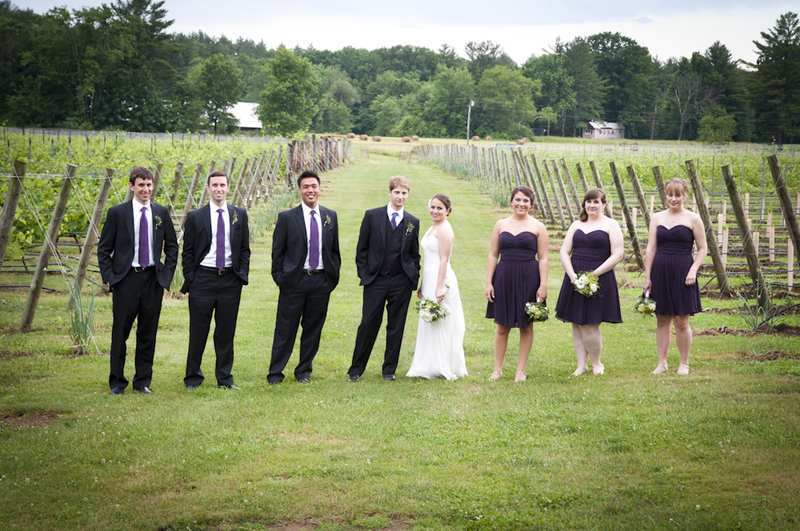 The first one is schedule for July at the Pine Manor College with Leise Jones Photography. I’m thrilled to give you a sneak peek at my model, Danyelle Gibbs. The details are still in the works, but I’ll give you a little tidbit…the 2013 Pantone Color of the Year Emerald will be involved! Thanks to Kaitlyn Marie for taking these stunning shots of her! Isn’t she just simply STUNNING!! I can’t wait to work with her!! OH, and did I forget to mention that she’s also an extremely talented makeup artist too!! Check out her Facebook page Makeup by Danyelle to see more of her work! The other one is going to be some time in the fall. Some of the elements are jotted down, but like the other one, I pretty much designed everything about it with Sarah Maillet in mind! Except with that one, I’m going to be REALLY going out of the box! The details will be under lock & key because I totally want the WOW factor to be there. But, I couldn’t not show you how gorgeous & perfect Sarah will be for it! Thanks to my friends over at Black Thumb Studio for taking this FABULOUS shot! Thanks to Philbrick Photography for trekking up the ice in North Conway, NH to get these stunning beauties!! Last, but certainly not least, the quiet beauty I see when I look at this photo by Focusure Studios! Keep your eyes out for these fabulous shoots! They will be worth the wait! 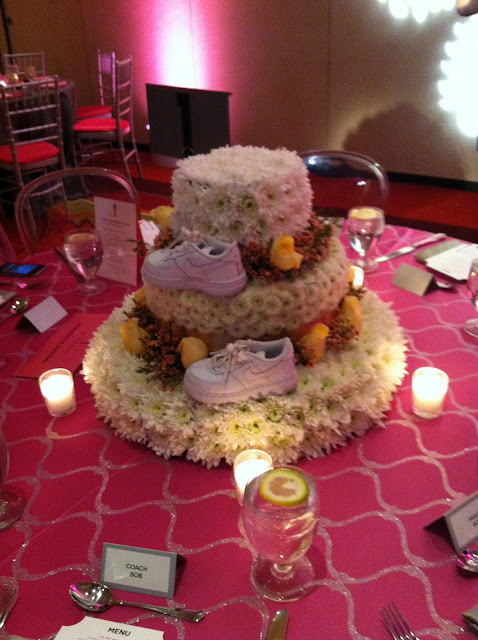 Looking for a planner who’s fun, edgy & not afraid to go outside the box, call or email me for your wedding needs! I had the pleasure of trying this yummy cocktail this past weekend at the I Do Brunch event I attended. And, boy let me tell you, it is one dangerous drink that can really sneak up on you!! But, it SO GOOD since it was very refreshing & smooth (see why I say it’s dangerous!). This could be my new favorite “go-to” drink for summertime. It would be perfect for an outdoor summer wedding or event. By taking out the liquor, it could also be made as a non-alcoholic drink for your guests that don’t drink. Want to try it? Call or email me to set up a meeting and we will! I had the pleasure of meeting Jen Cerino, General Manager of Bliss Spa & Salon at our Vendors 4 Vendors Networking Group last month, when we bonded over our funky haircuts among many other things! She could pass as my long, lost sister!! We certainly did try to get our picture taken together, but for one reason or another it just didn’t happen! After a fantastic night, we connected again to set up a time for me to come visit the salon. 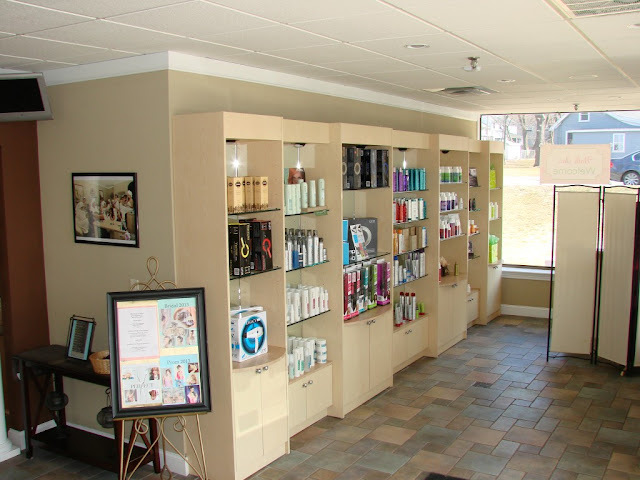 It gave me a chance to really sit down & chat with Jen, plus I got to see her fabulous salon! I do think I could’ve spent hours upon hours there chatting away with her! She’s just so full of energy and really loves what she does, it was such a pleasure to spend some time with her. I’m looking forward to heading back there again! 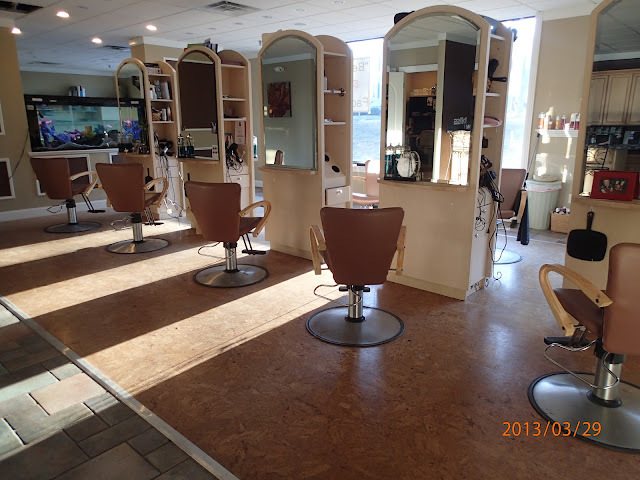 The salon is absolutely stunning and has so much to offer. 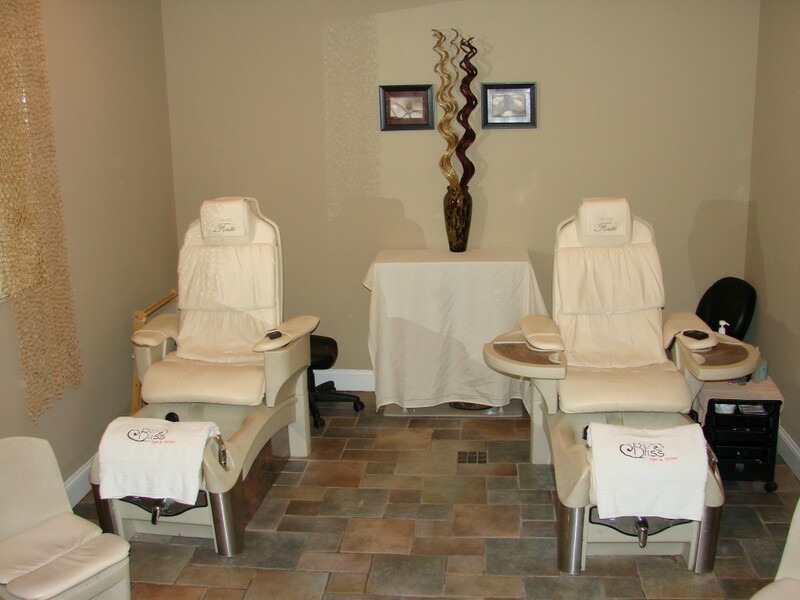 As soon as you walk in, you feel as if you just stepped into a whole other relaxing world. 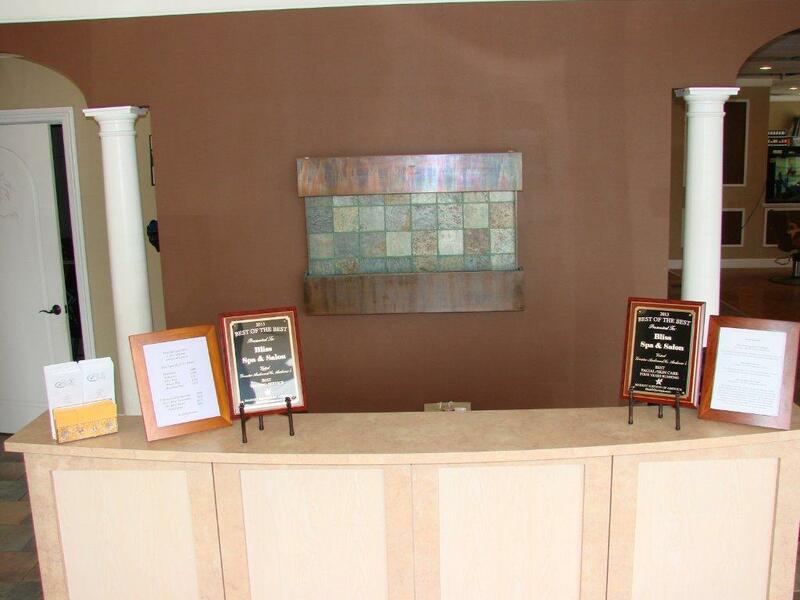 The entrance has such warm & bright feel to it and as soon as you approach the reception desk, your greeted with a smile. Their product line is spaciously laid out for you to view or purchase the products your fabulous stylist used on you when they created your masterpiece! Then, you enter into where the magic happens…. Did I forget to mention that you have your own PRIVATE bar area to enjoy some picky food & beverages as you’re getting gorgeous for the big day! There are private rooms for all spa treatments such as facials, waxing, massages & tanning. 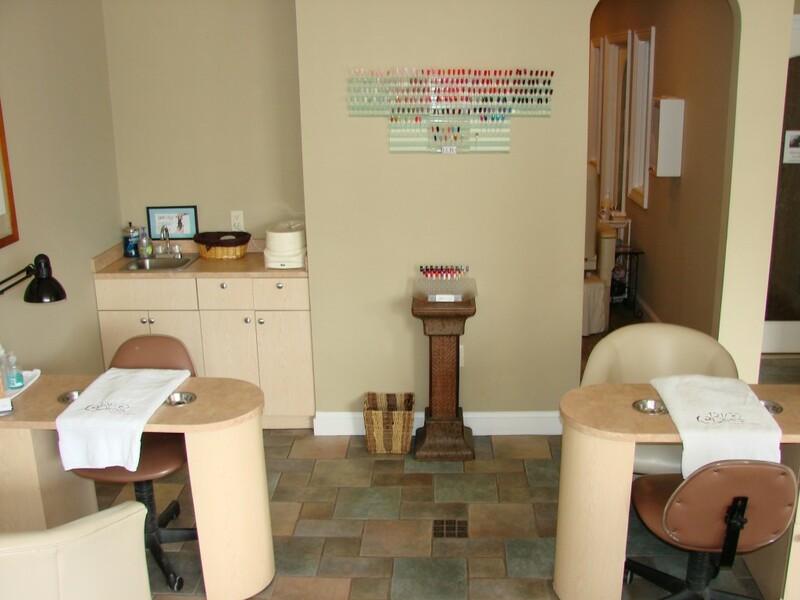 Plus, the manicure & pedicure areas will make it easy for you & your friends to chat while you enjoy getting pampered! 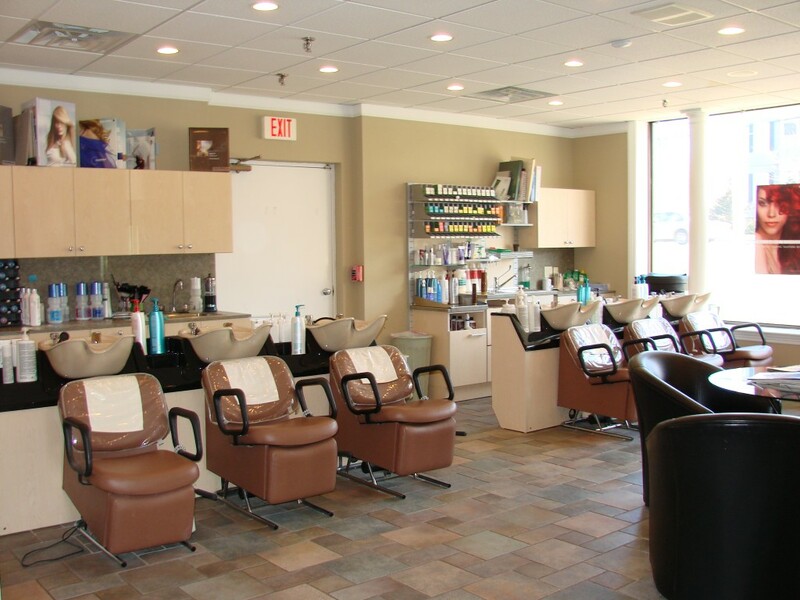 After all that pampering, you can relax in these comfy chairs as the rest of your girls are finishing up before heading off to marry your best friend! Now, I know I want to make an appointment, don’t you? 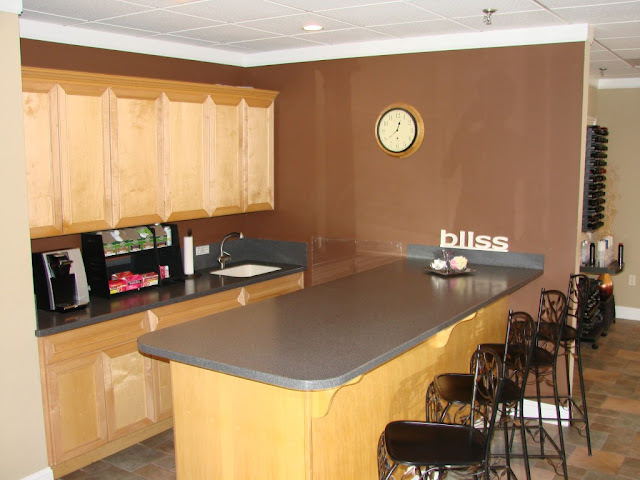 Call or email me, so we can experience this place together! Yeah, that title pretty much sums up the weekend. It was such a wonderful trip to Baltimore, MD for the 5th Annual “I Do Brunch”. I put my ‘big girl pants’ by attending this conference alone on top of flying solo too! It was well worth it! I ‘knew’ some ladies going on, so I wasn’t completely alone, but I didn’t have any friend from my comfort zone to hang with. I had to get out of my comfort zone and really get to met some other people and boy, am I glad I did. I met some of the most amazing women! 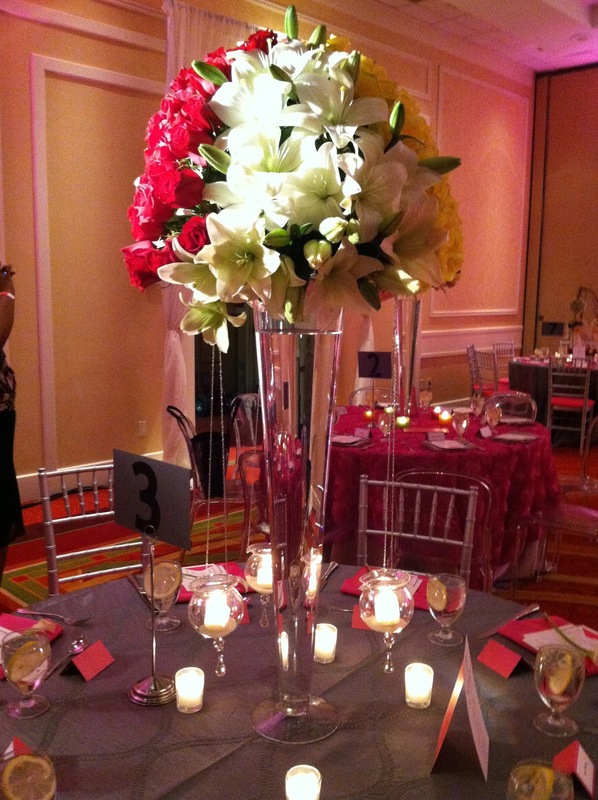 It was held at the BWI Marriott and the hotel was amazing! The staff was super friendly & accommodating and the rooms were amazing! It was interesting to have the whole room to myself, that’s for sure. 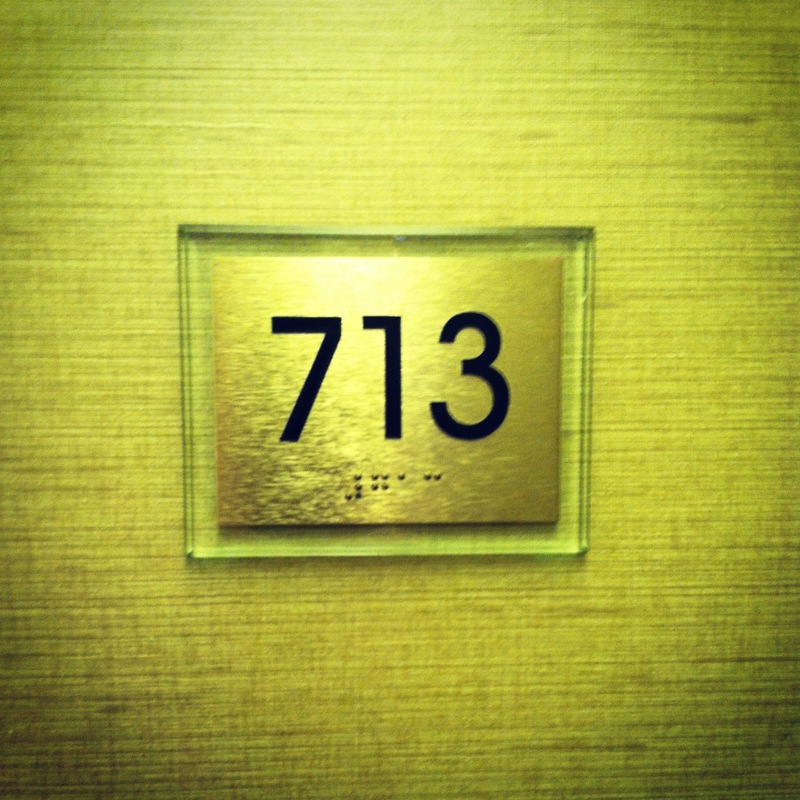 As you know, I’m a big believer in “signs” and 2013 has been an amazing year for me so far. So, when I looked at my room number, I knew I was supposed to be here. Now, onto the rest of the room…. This is “Gram Bear”, who made his first trip with me. The story behind this little guy is he belonged to my husband’s grandmother, who passed away last year. Since she’s watching over us, we decided she’d travel with us to wherever we went as well! I had a full day of events on Saturday and was amazed at what I walked into. 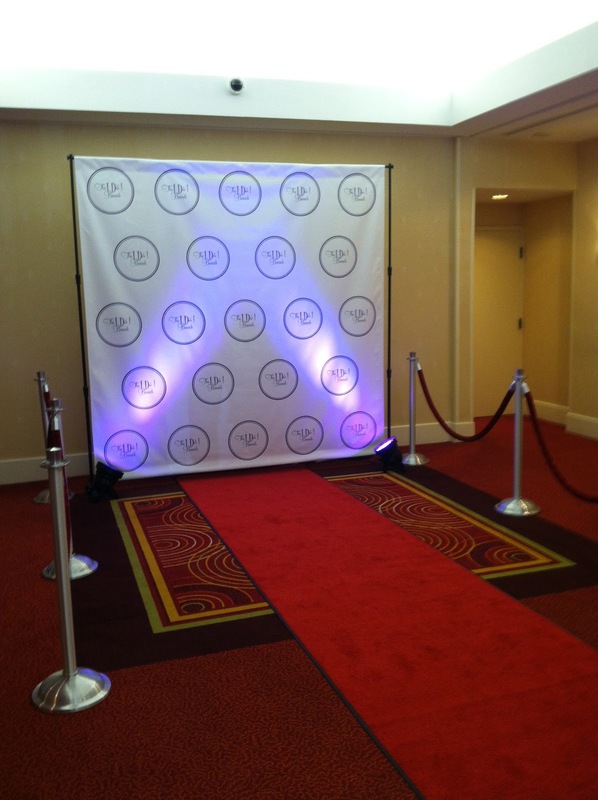 We started off at our “Red Carpet”, that was awaiting us to strut our stuff! I had nothing to compare it too, but even the ladies who have attended before were in awe too as we walked into pure magic…. 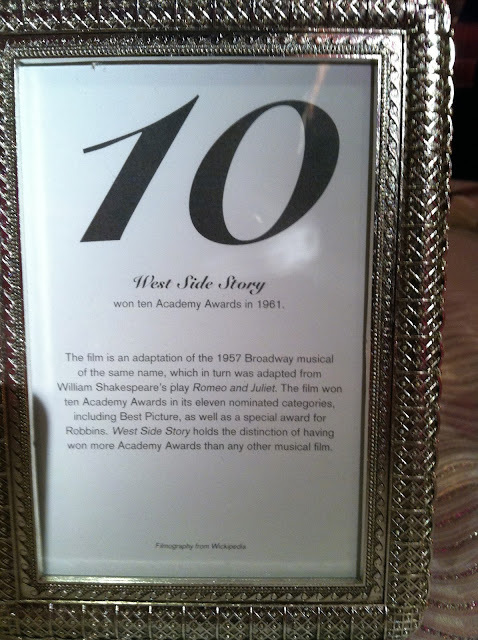 It was a Hollywood Glamour theme & each table had an Academy Award motion picture name & the history behind that picture. This was my table! The room was just so inviting & just breathtaking! There are many people who consider themselves “wedding planners” because they planned their friends or family events before, but what they don’t understand, there’s so much more involved than that. It’s not all glamourous & easy, as some of the movies/tv shows have portrayed it. It’s hard work & trust me when I say, a lot goes into becoming a planner. It’s a career that is not for the faint hearted or shy. I’ve been in the industry for 6 years and when I first started, I made sure that I learned what I was doing before even calling myself a planner or a business owner. 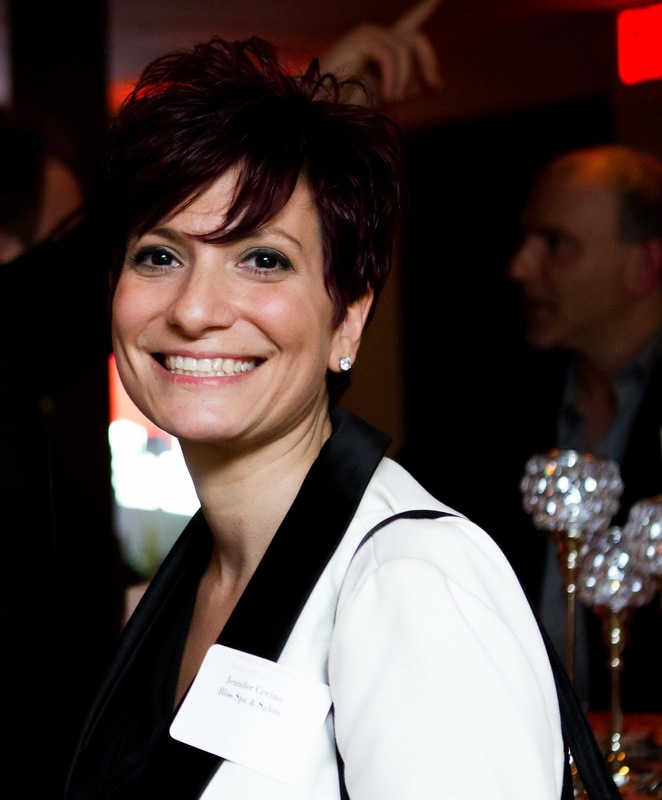 A couple needs to be confident in the person they are hiring to make sure their event goes smoothly. It’s one of the most important day’s in a couples life & our reputation is at stake. The food for thought that I received from the questions & discussions was invaluable. It will help me continue to strive to be a better & more educated planner. Any client of mine will never have to think that they are getting a “random chick”! There’s a lot to learn, but there is also some fun with attending these conferences! 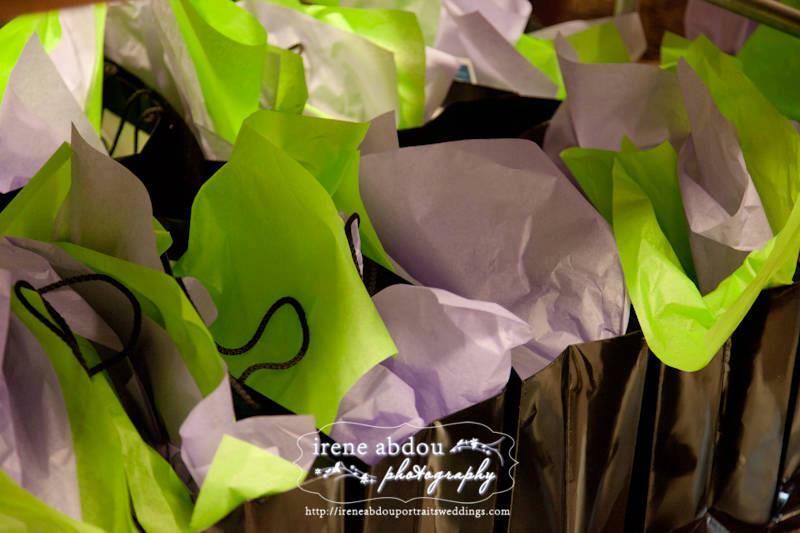 During the Brunch, there were presents for different things…. One was for being the first 25 Early Birds to register….and boy, was I surprised when MY name was called for this gorgeous tote bag!! 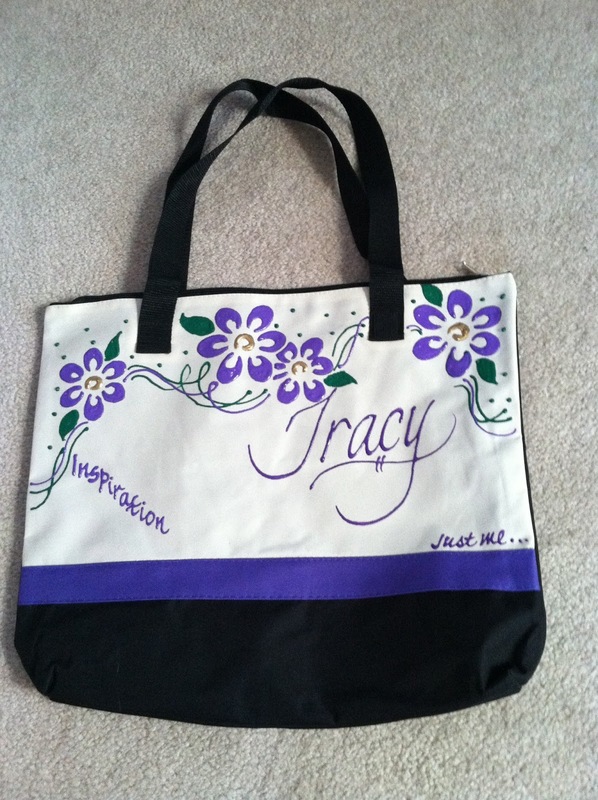 It’s a hand-painted, personalized tote from Just Me Totes! Each one was different and each adjective represented how Setena “felt” about us. Let me tell you, she didn’t know who any of us were and didn’t get any information about us from the I Do Brunch team. She is very in tune with her inner self and got each of our adjectives correct (it was eery really, but awesome too!). After the brunch, we got to hang out for a little while before getting a “Back of House” Tour with the Executive Chef & Director of Banquets. We got an inside look at how the food service works, how everything comes together, how it’s all stored & where the prep locations are. Also, why it’s so important for a planner & the banquet staff to be on the same page when it relates to the timeline. Any change in the timeline will effect the food service. Later that night we enjoyed a “Spirited” Pajama Party, where we got to wear our pj’s or comfy clothes, hang out, get your nails done, enjoy some sweets, mingle, play games all while enjoying some very dangerous “spirits” from Sugar Rim Bar. We also learned how to create a perfect nightcap & the basics of setting up a bar from Corey, the Owner of Sugar Rim Bar. I tried the Red Velvet Cupcake from Ooh La La Cupcakery…OMG, it was PURE heaven in a wrapper!! Than, to top of the evening we got ANOTHER bag of goodies!!! I was VERY excited to see this in my swag bag…. ….because, I was eyeing this glass earlier to purchase when I stopped at the vendor table of Ten 23 Designs! Check them out, they are so incredibly talented with their creations! I can’t even begin to tell you how much fun I had, what I learned and the amazing connections I made by attending this. I plan on making I Do Brunch a yearly trip, to learn & to re-connect with now, my friends. I’m still reeling from it and just got to relive it by telling you. Stay tuned for Friday’s blog to see one of the many “signature cocktails” we had! Did you play an April Fool’s Day prank on someone? Or, did someone play one on you? I’m thankful that I didn’t experience either! I wanted to do something different this time around for a cocktail idea & pondered what was happening this week….and, thought of April Fool’s Day! Who’d have thought there was a drink to mark the occasion…..
Plus, there’s a story behind it!! Thanks to Kate Satton of The Spir.it.com for the explanation it. 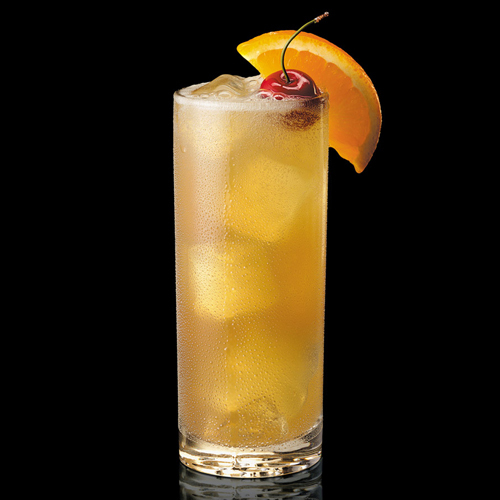 “…As history dictates, this gin-based sparkling lemonade comes from the Great Tom Collins hoax of 1874. A mighty prank at that time, bar goers would tell unknowing friends of a “Tom Collins” who had been trashing their name as of recent. Pranksters would tell those unsuspecting buddies that Collins was just around the corner, encouraging them to fight their battle at the other bar. After angrily walking over, those pranked would come to see that there was no Tom Collins to be found. Why? Because Tom Collins simply didn’t exist. Did you play any pranks? Or, were you the recipient of one? Call or email me to tell me what you did or had done to you! I had the pleasure of meeting Brad Harrington of Harrington Flowers, LLC a few weeks ago at his shop for a little chat. Than, got to know him better when he attended our Vendors 4 Vendors Networking Launch Party last month. I was completely blown away by the creativity that Brad possess and I’m counting down the time until I can work with him on an event! 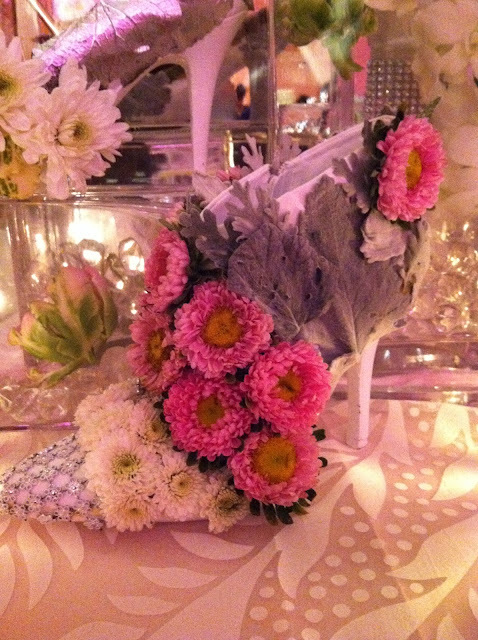 I was in awe when he told me he created a shoe out of flowers(did I mention I LOVE shoes?! 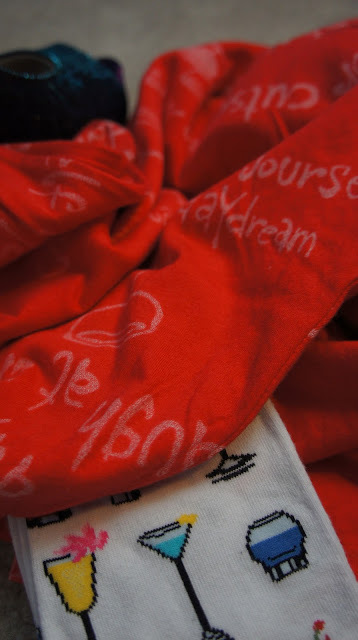 )….and, YES, it can be worn too!!! Brad was kind enough to take time out of his very busy schedule to have a little interview with me, so you can get to know this amazing talent yourselves. 1. How did you get into the floral business? I started in the floral industry delivering flowers when I was 19. It was love at first sight for me, I just loved the way flowers made people feel. 2. Tell me about yourself & your business? I would go in on my days off to learn from the designers and slowly worked my way into a full time floral designer position. 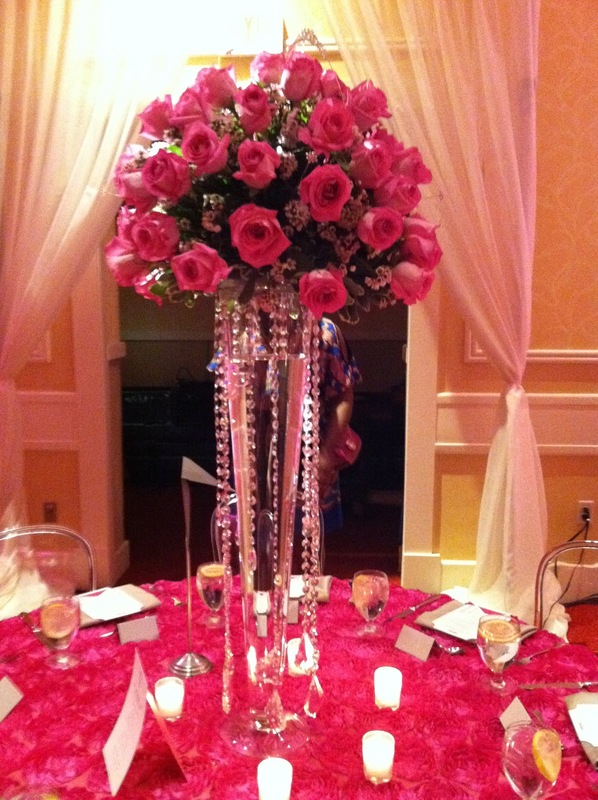 I have worked many events over the past twenty years from weddings to ring ceremonies plus other high end events. 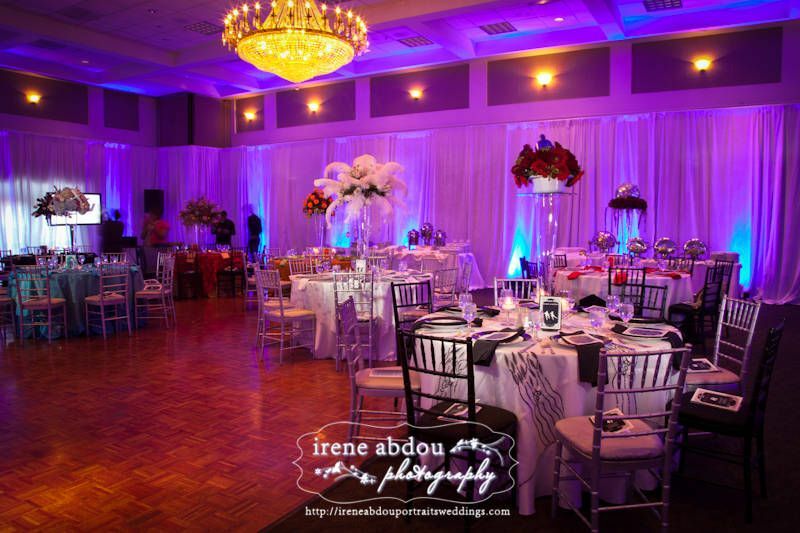 My passion is for weddings, as this is where my clients allow me to be the most creative and romantic. I would define my designs as romantic. 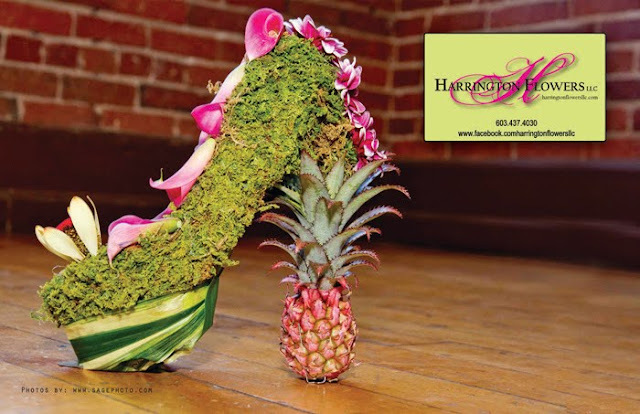 Harrington Flowers, LLC is located at 16 East Broadway in Derry, NH. 4. Your work is completely different from other designers, where do you get your inspirations to create such beautiful pieces? I started HF to have the freedom to express myself thru my design work. I love to help people create unique romantic designs, using there ideas, colors and style. 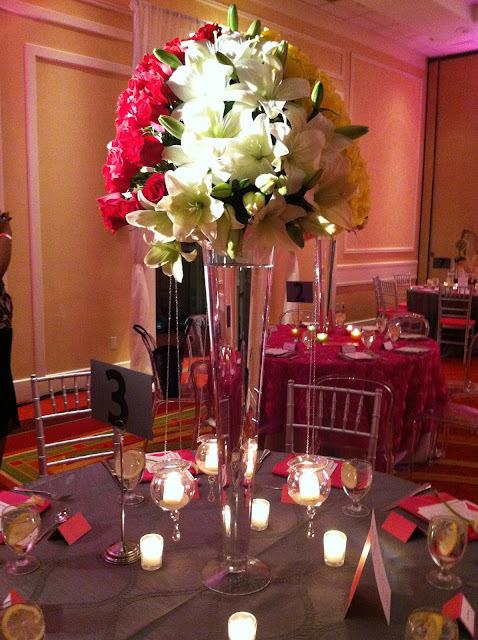 There is a language to flowers, they can express emotion and set a mood. 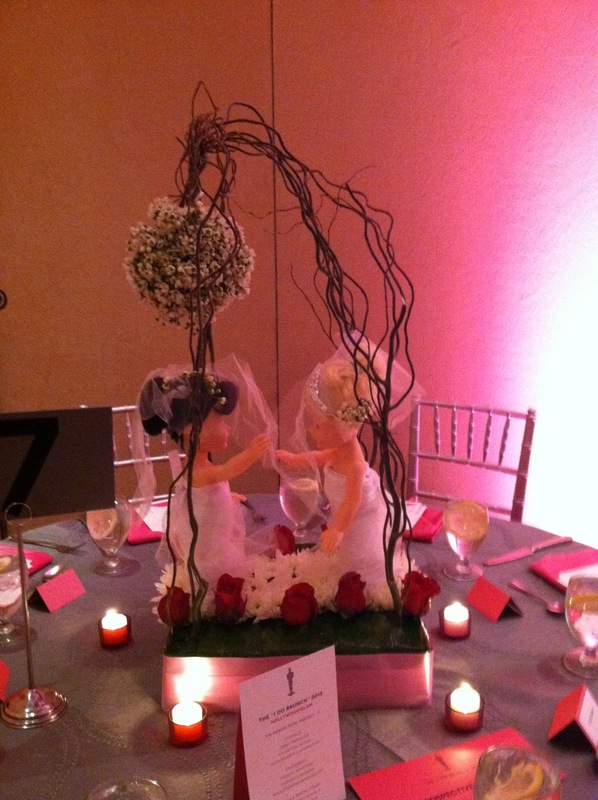 That is the difference between a floral design and floral art. 5. Do you have a favorite type of flower? If so, why? My favorite flower would be the hydrangea and that goes back to the many summers I have spent on Cape Cod. 6. Is it better to work with seasonal flowers? There are many myths about using seasonal flowers to keep your flower budget down. I think, the person that came up with that, may be the same person that suggests booking your florist three months before you’re wedding. The truth is, products are grown all over the world and can vary in cost, due to shipping costs and of course, labor costs. Local products are great, but may be more expensive, as it is grown in a greenhouse… like anything in life, if you want quality, it costs more. 7. 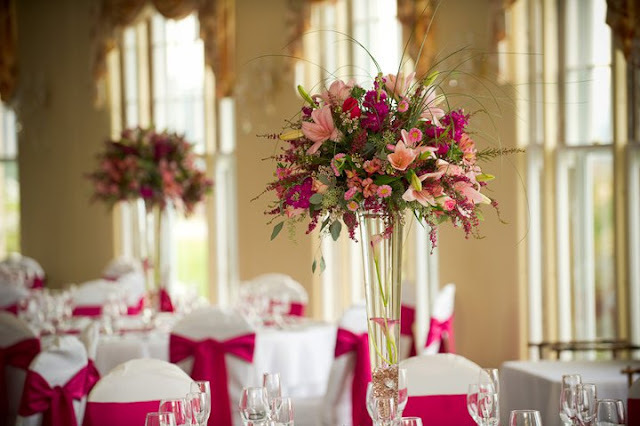 What should brides look for when searching for a florist? 8. 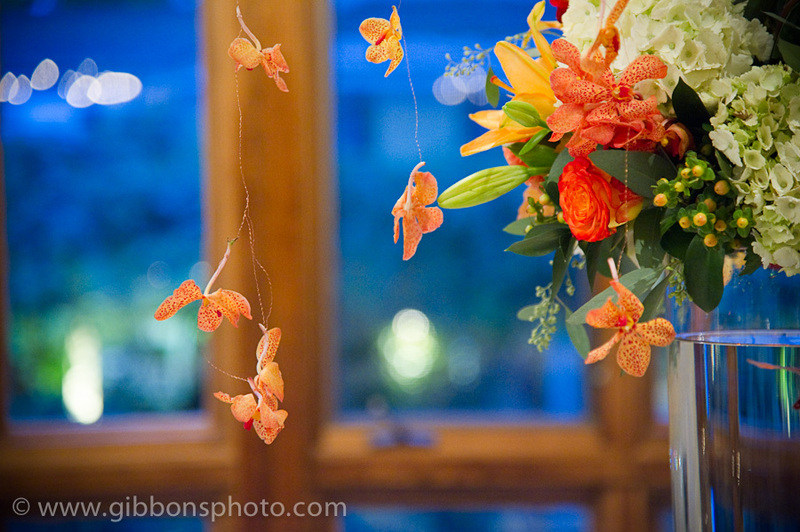 What are your price points for wedding flowers? Flowers have different prices and everyone has different likes and dislikes. It is hard to give a price for a wedding because we do not know what flowers the bride will choose until after a consultation. However, most of our weddings average around $2,000-$4,000 dollars. 9. Tell me about your favorite piece you created? My all time favorite design was a floral vanity I created for a beach shoot. Check out the video here. 10. 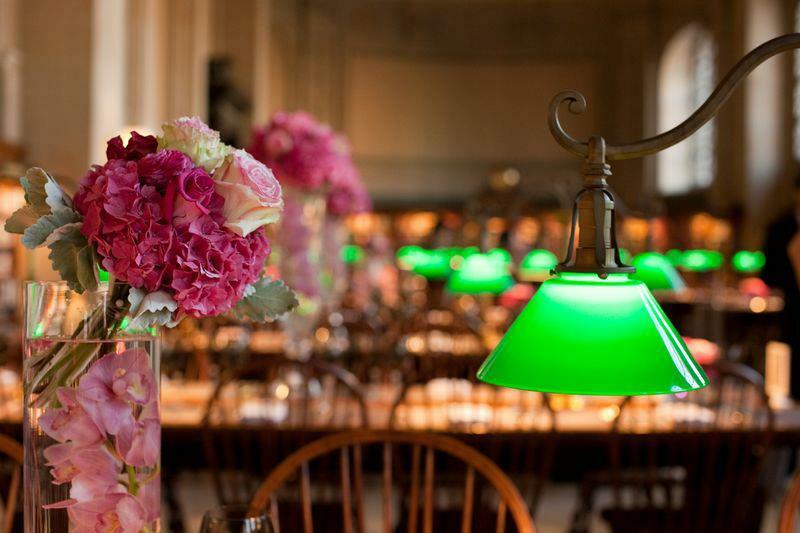 Do you have a favorite wedding design? Tell me about it. All my wedding work is very personal, it is impossible to pick or single out any of them as my favorite. Thanks Brad for taking the time to chat with me & allow my readers to get to know you better! I hope you enjoyed my little chat with Harrington Flowers, LLC. Be sure to check out his site & other amazing creations here. Than after you call him, call or email ME, so I can help you create your vision right along side him! I hope everyone had a fabulous Easter & Passover weekend! Monday blogs are pretty much set aside to tell you what’s going on in the office, what inspires me, helpful tips and just about anything wedding related that strikes me. For the next two weeks, I’ll be talking about the wedding conference I’ll be attending in Baltimore, MD. I’m SO EXCITED, I can barely contain myself!! It seems like I’ve been planning this trip for months and now it’s finally here … or at least it will be in a few days! I’m looking forward to meeting some great new contacts and finally, physically meeting the ones I’ve known for many years via Facebook and other online forums! 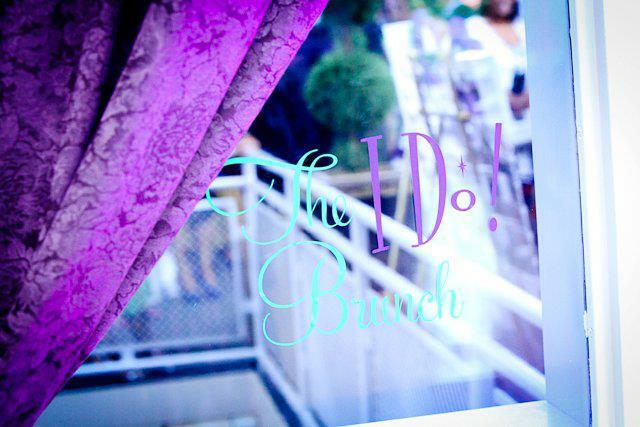 The “I Do Brunch” turns “5” this year and to celebrate it, they’ve transformed a one day seminar into a two day event! It’s an opportunity for wedding planners to network, learn, relax and be a guest at an event. The theme of the event is “Lights, Camera, Action: Hollywood Glamour!” I have my party shoes & outfit, ready to strut my stuff down the red carpet! 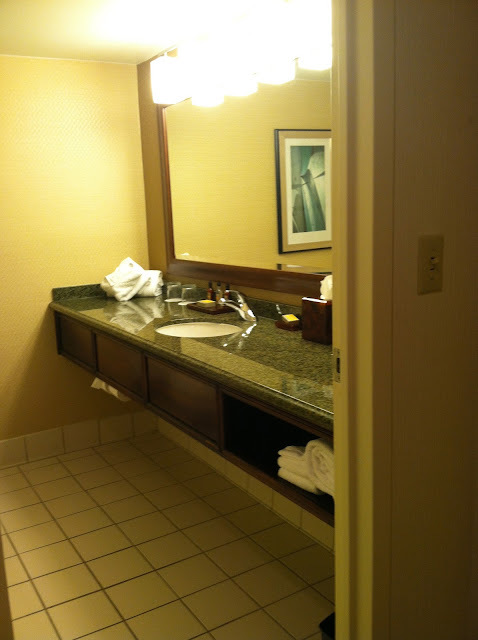 The BWI Marriott is the host venue and just completed their renovation. I’m looking forward to seeing it transformed into a magical place for us. I’ll be a busy little bee for two days…look at what’s in store for me! The highlight of the weekend!! 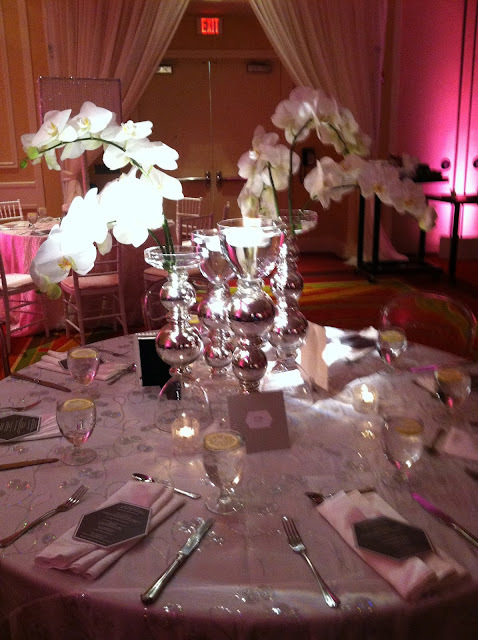 This annual event melds amazing cuisine with fabulous decor for a one-of-a-kind experience! The theme of this year’s Brunch is:”Lights, Camera, Action: Hollywood Glamour”! The Marriott’s Executive Chef and Director Of Banquets will give Brunch attendees an “insider” look at how food service works, how all of the components come together, storage and prep locations, and why it is vital for the planner and F&B staff to be on the same page as it relates to food service and timing. A fun, relaxing pajama party where Brunch attendees can lounge in their favorite ‘jammies, while enjoying savory & sweet snacks, playing card and board games and sharing “war” stories. We will also have a demo from the CEO of SugarRim Bar, Mr. Cory Brim, on how to make the perfect “nightcap”, not only for yourself…but for your clients as a revenue-generator to the services already provided. Guests will also learn a few bar “basics” to increase their knowledge. 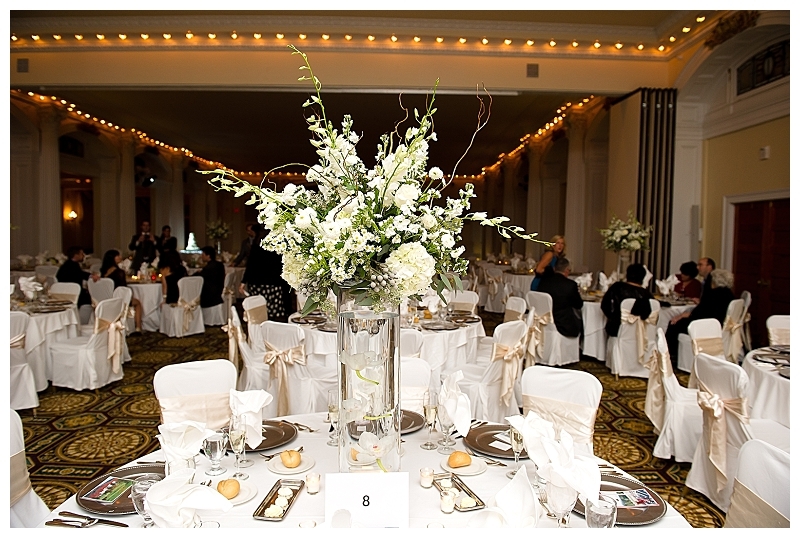 Weddings, corporate events, social soirees – professional planners create them all to perfection for their clients! This year, the “I DO Brunch” is pleased to offer complimentary admittance to the BWI Marriott’s luxurious Celebration Showcase..a gathering of the area’s top wedding & event providers who will be profiling their unique good and services to brides, grooms and potential party makers from across the state! 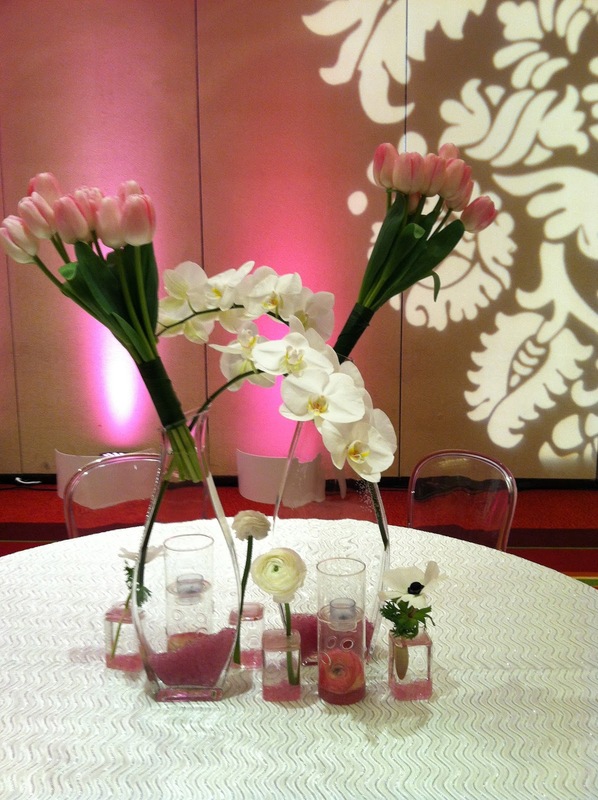 More than a bridal show, the Showcase is a great way to see the many facets needed to create a sparkling event! Add in delectable cuisine, sparkling libations, beautiful decor along with the opportunity to speak face-to-face with the “movers & shakers” who know how to “make the magic happen”, and you’ve got a wonderful morning on tap for the professional AND the consumer!!!! I love presents!!! I’m looking forward to seeing what’s inside my LUXETote!! Here’s a little teaser about a few of my items that will be making an appearance during the “I Do Brunch” weekend! 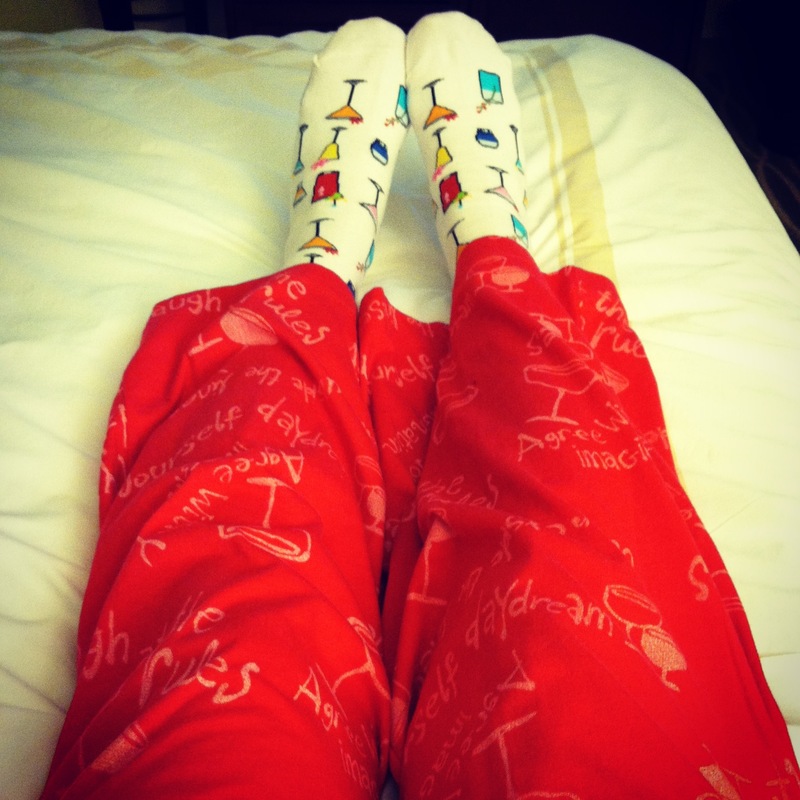 Stay tuned for next week’s post for the reveal of the fabulous shoes, the jammies and the rocking outfit!